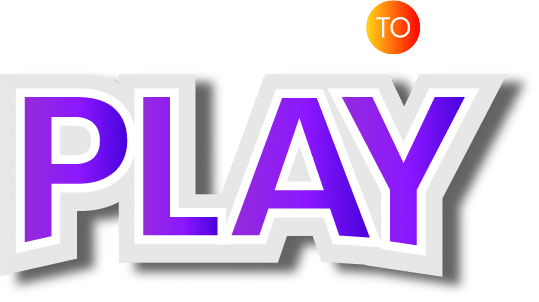 About Bob-O’s Family Fun Center | El Paso’s Place to Play! Bob-O’s Family Fun Center is proud to be El Paso’s place to play. What started off as the simple idea to give people of all ages a fun, safe, and reliable place to play quickly became a staple in El Paso. Bob-O’s was specifically designed to offer enjoyment and entertainment to patrons of all ages. To this day, we maintain our position as one of El Paso’s go-to locations for family fun. Rain or shine, Bob-O’s Family Fun Center is ready to provide the highest degree of fun and entertainment. Bob-O’s Family Fun Center is located right off I-10 in El Paso’s Westside. Given our location, we’ve been a reliable source of fun and entertainment for families in the Westside of town. 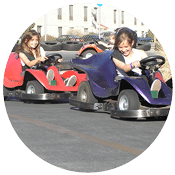 Our location makes it easy for those who live in the East Side, North East, Lower Valley, or in the surrounding Southwest region to visit Bob-O’s Family Fun Center. We are “El Paso’s Place to Play.” We’re the only fun center with laser tag in El Paso. We constantly update our modern arcade in order to provide patrons with the best arcade games available. If you’re looking for high-quality fun, choose Bob-O’s Family Fun Center! 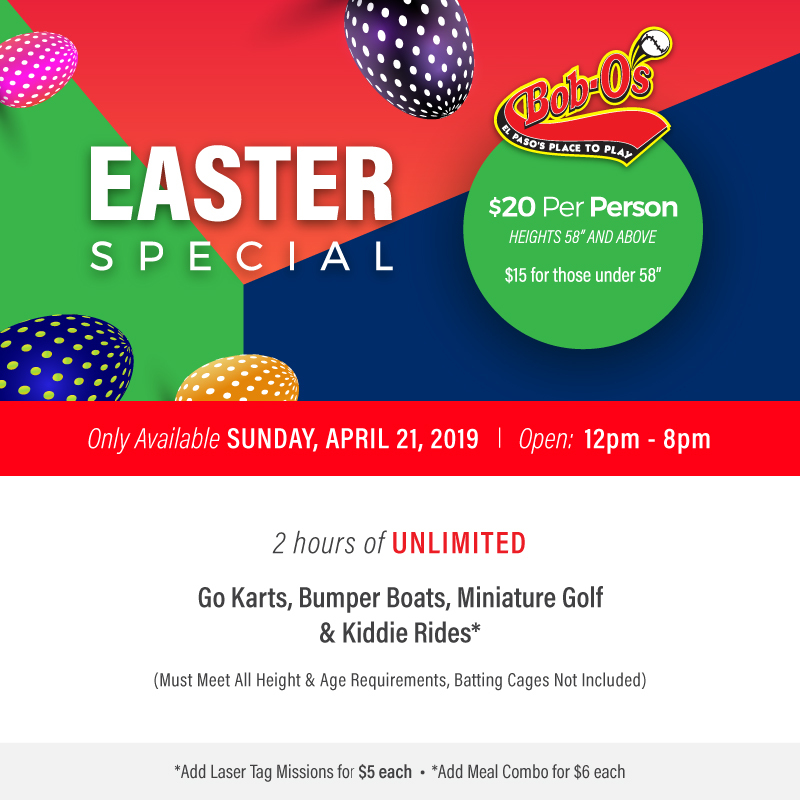 Bobby Walker established Bob-O’s Family Fun Center in 2002 with the purpose of providing families in the El Paso area with a reliable, safe option for entertainment. Not long after we opened our doors, Bob-O’s became El Paso’s go-to place for people of all ages to have unbridled fun. To this day, Bob-O’s Family Fun Center continues to evolve. Mr. Walker and the rest of the Bob-O’s team strive to provide as much fun as possible to every single patron who walks through our doors. Bob-O’s Family Fun Center remains El Paso’s go-to choices for non-stop entertainment. We’re ready to book your next event! Give our team a call today to learn more about what we have to offer. Whether you’re planning a birthday party or you just want to do something new, Bob-O’s is the place!